Do you have neighbors that are a little to close to your yard? I do, and nothing can give you privacy quicker than planting a few bushes and shrubs to block their view. Of course, you can get a fence, but creating a barrier with plants will make your outdoor space more natural and attractive, which will allow you to enjoy being outside more. In this guide, we have included 15 attractive options that will grow quickly so that you can create the look for yourself. 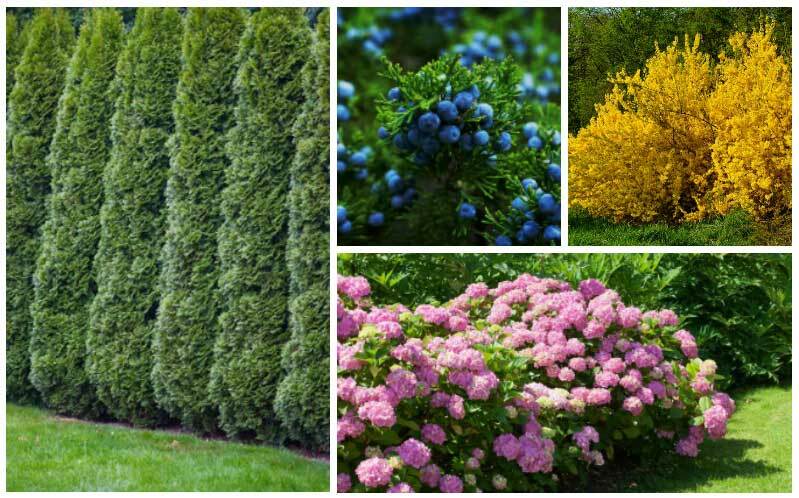 Some of the options are more like shrubs that will simply give you the privacy that you need, while others have lovely flowers that can add a lot to your home when they bloom. 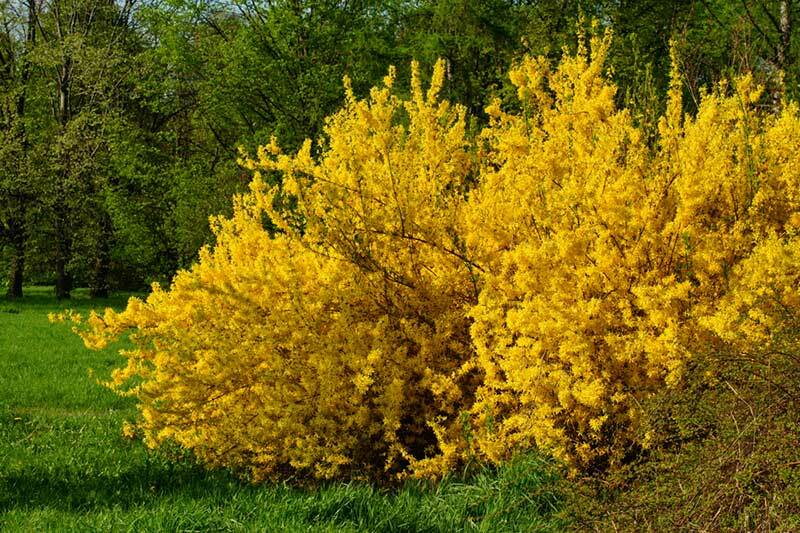 This is a lovely shrub that can give any property a very classic look. It grows up to 15 feet tall, and it can easily be shaped so that you can have the border that you want around your home. It grows best in part sun to full sun, and it produces white flowers during summer. It grows best in zones five through eight. 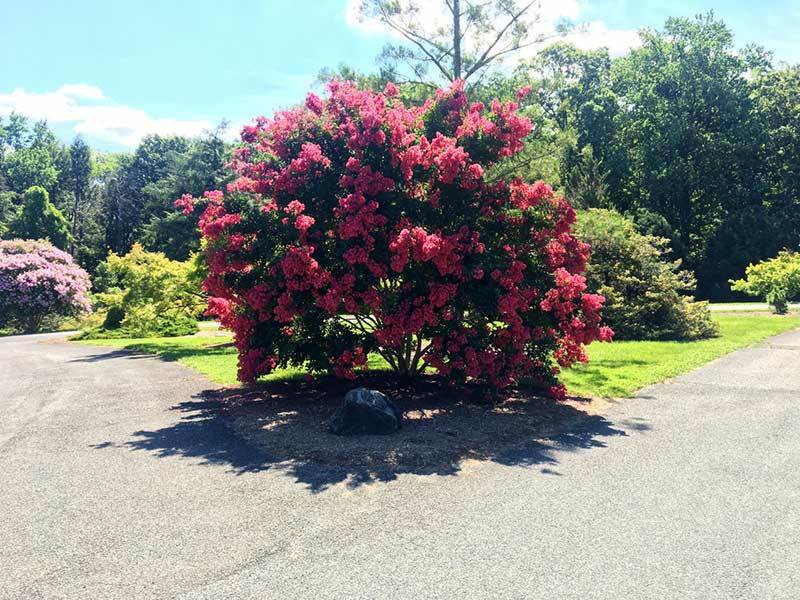 This is a lovely shrub that can have several bloom colors that you can see in the spring and the fall of the year; these include flowers that are blue, pink, purple, red, and white. These plants grow best in zones three through nine, and they prefer partial to full sunlight as well as slightly acidic soil. 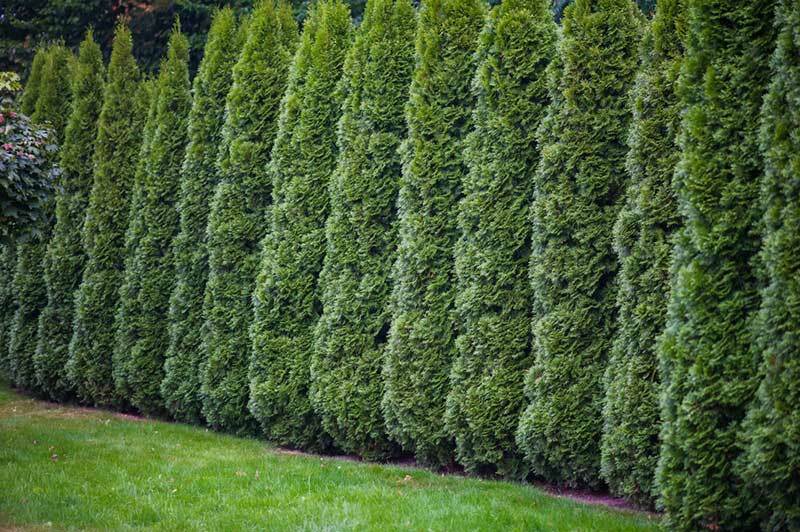 This is a group of evergreen trees and shrubs that can range from three feet to up to 14 or more. They grow in zones two through eight with ease, and because they don’t bloom, it makes this plant an ideal shrub for privacy. They can grow in full sun to partial shade, and they like well-drained soil. This is an option that will grow best in zones six through eight. 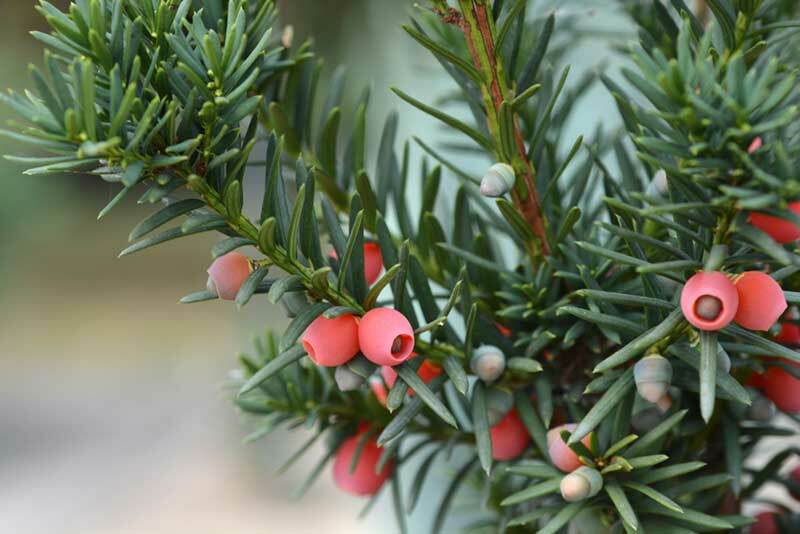 It is a wide-leafed evergreen that will grow to be up to six feet tall. It flowers in the spring of the year, and it can grow in full sun or partial shade. 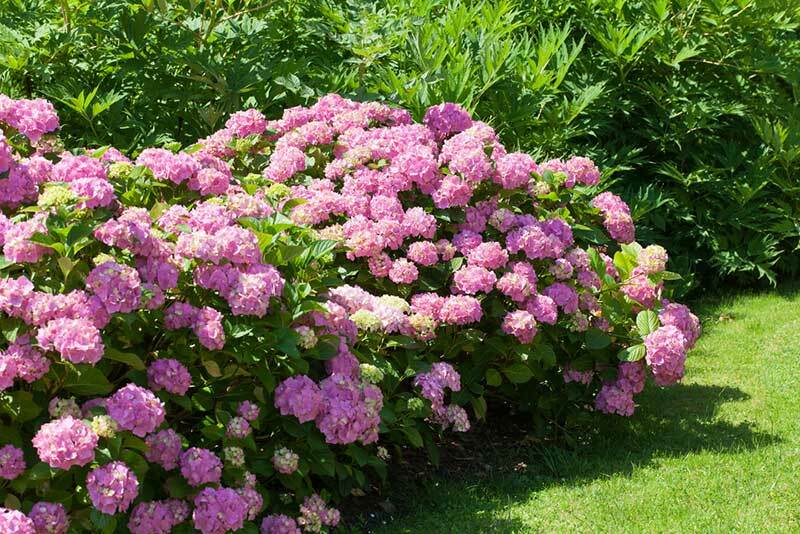 This is a beautiful bush that will do well in well-drained soil that is slightly acidic. With the right care, they can grow to be up to six feet tall. 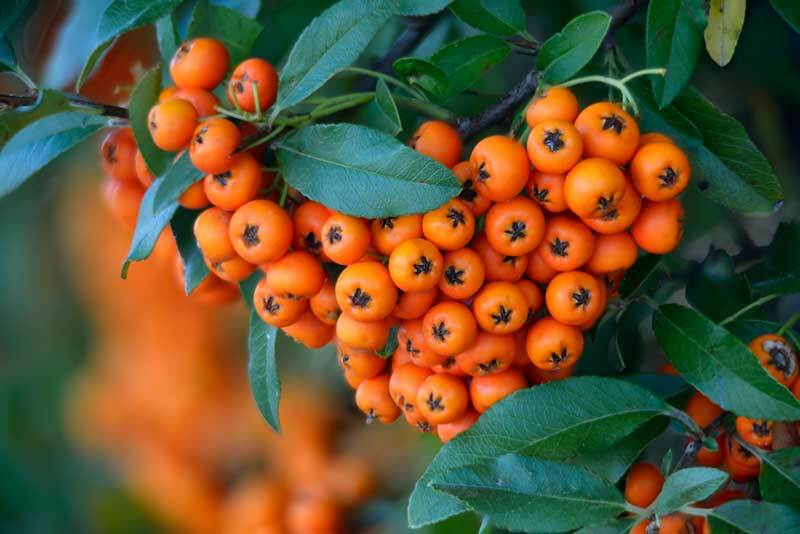 The female bushes will also produce red berries. They grow best in zone six with full sun, and they can offer a lot of privacy for your home. 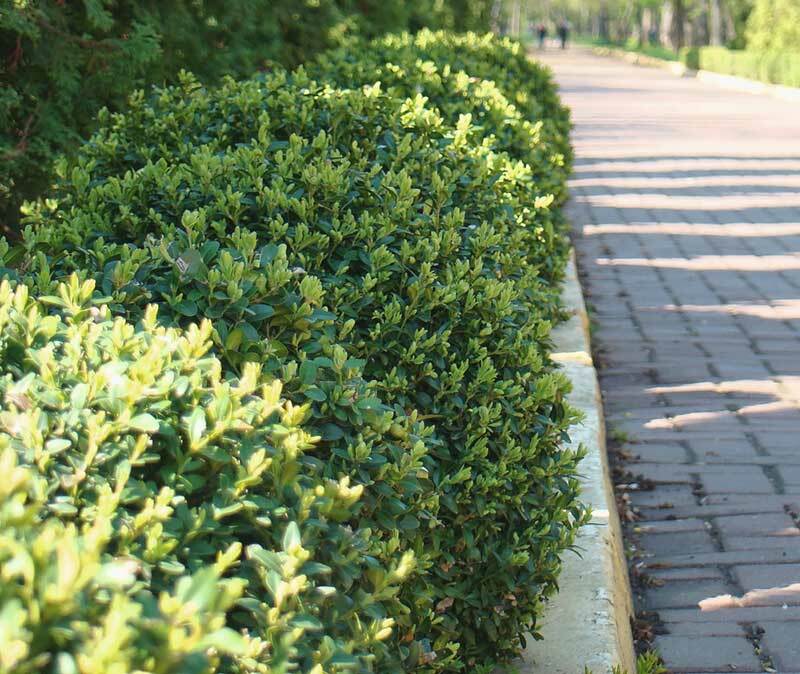 This is a very ornamental bush that many choose to use as an edging option for their outdoor space. It requires good drainage, and it will not do great in cold weather, so make sure to consider that before choosing it. It will grow best in zones five through nine, and it is effortless to prune and shape. If you are looking for privacy near your door, this is an excellent option for you to consider. It will grow best in partial to full sun as long as it is watered regularly. Typically, the plant can grow to be 10 to 12 feet tall and up to four feet wide. It will grow best in zones four through seven. 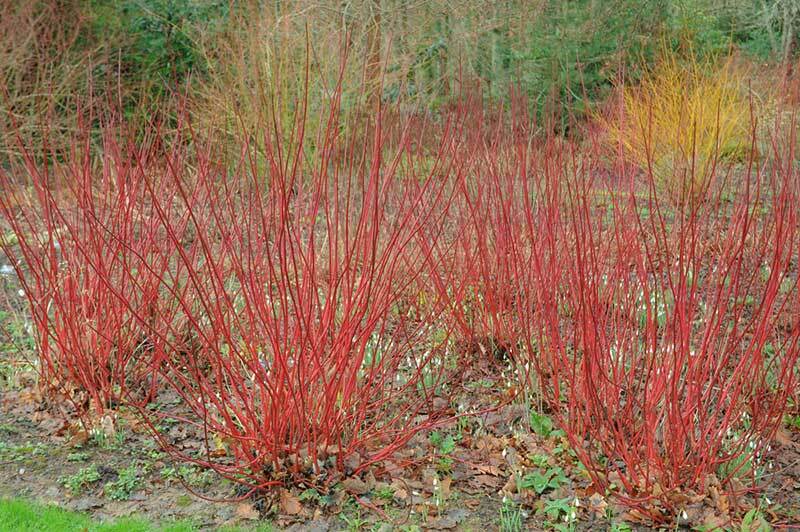 This is a beautiful red shrub that will be able to brighten your yard a bit. It can easily grow to be up to eight feet high, and it prefers full sun, but it will grow in partial shade as well. Blooms, which appear in the spring, are white, and this plant will grow well in zones three through eight. This is another option that is great for privacy. It is a very dense, bright green option that will grow quickly. Because of the density of the plant, it will actually block the sound from next door. It will grow in full to partial sun, and at full maturity, it can reach six feet tall. It will grow best in zones five through eight. 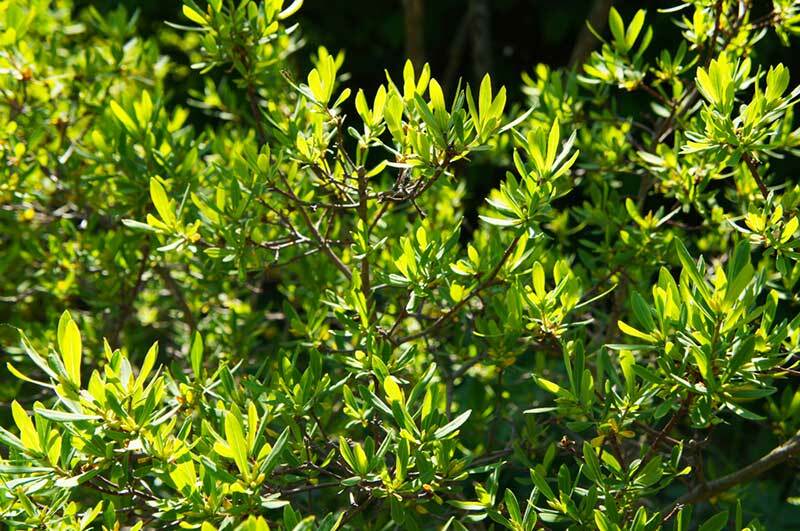 This is an evergreen shrub that can easily grow to be 13 feet tall. It prefers full sun, but partial sun will work as well. This plant creates small white bloom from May to June, and it grows best in zones six through nine. It also produces berries that will be ripe in September. This is a great option to grow for privacy when you live in zones nine through 11. 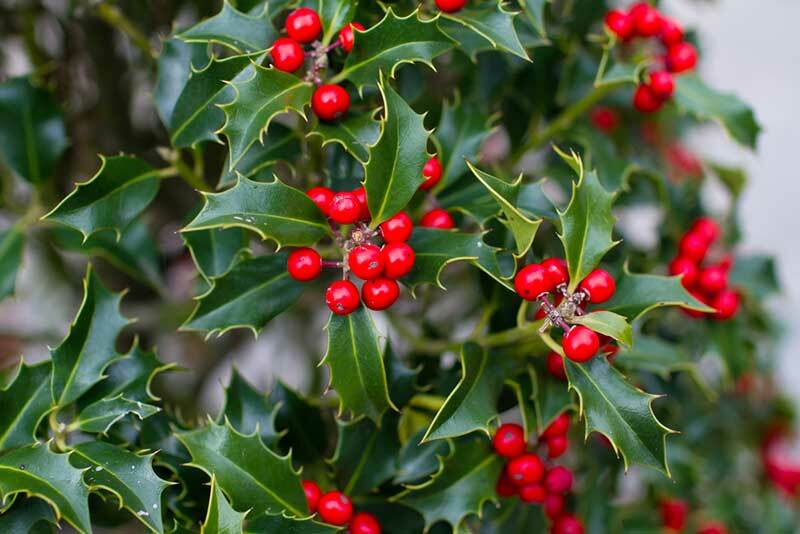 The plant is an evergreen that does well in full sun, and it is deer-resistant. 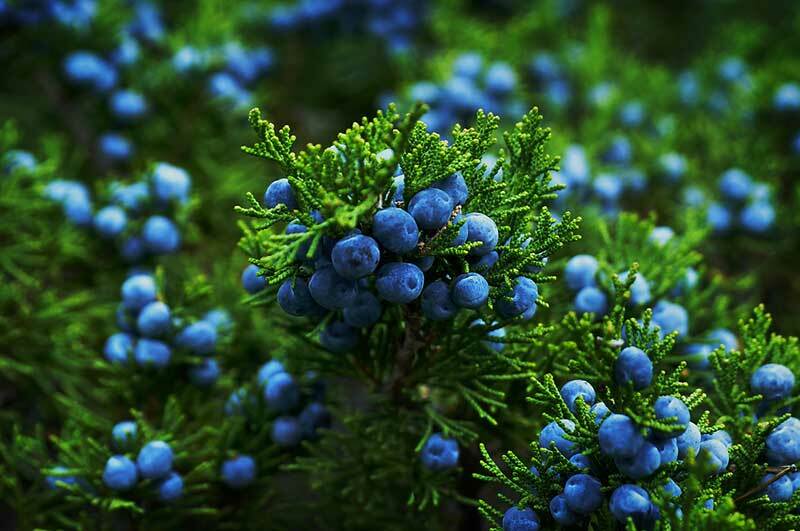 The foliage is a blue, green color, and they also produce berries that are the same color. 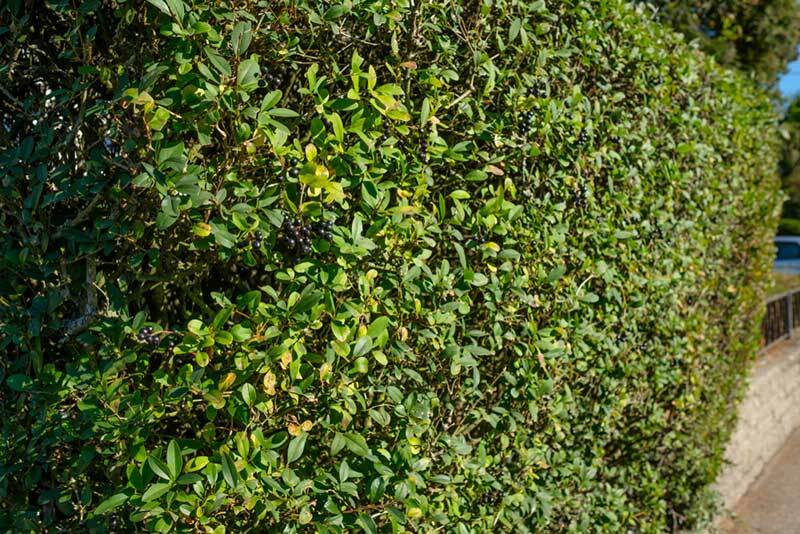 Best grown in zones seven through nine, this is an option that will be a great bush for privacy at your home. It has green leaves that turn red and orange during the fall, and in the spring, it produces pink, purple, and red blooms. It can grow in a hot, humid area, and drought is not an issue. 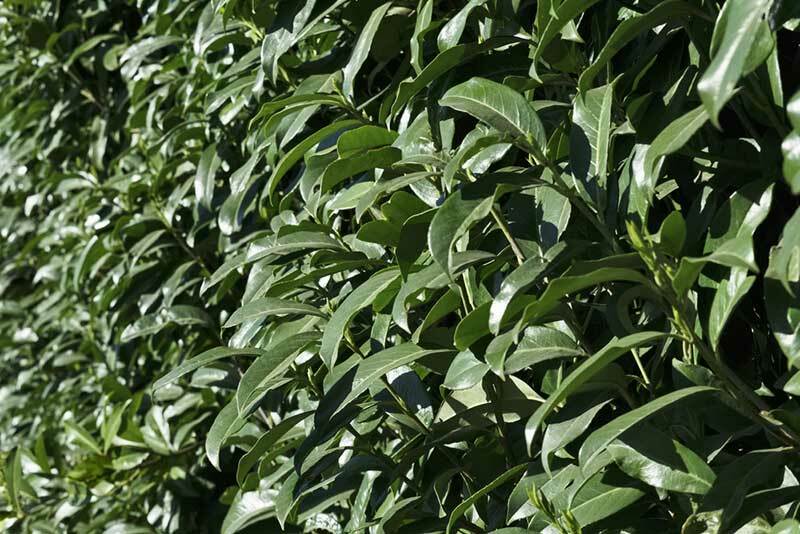 This is an excellent type of plant to have as a hedge for privacy in your outdoor space. 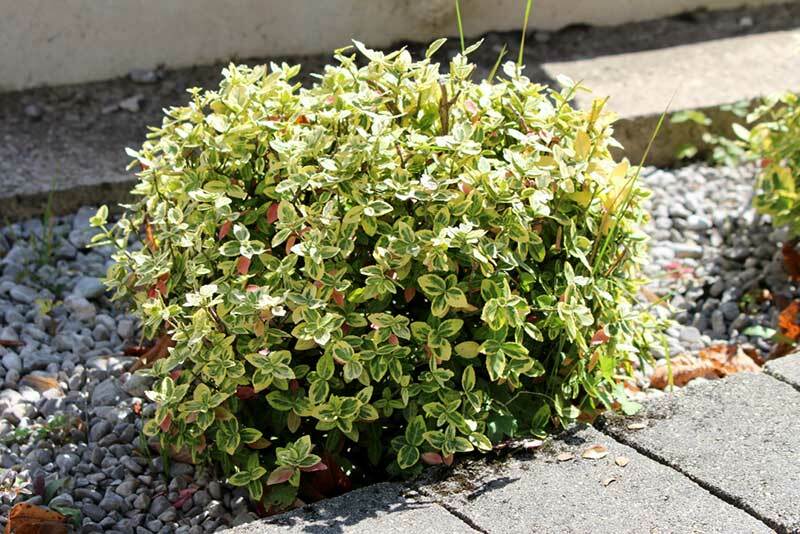 It can grow in full or partial sun and well-drained soil; and with proper care, it can grow up to two feet a year. In the spring, it will produce yellow flowers, and it will grow best in zones five through nine. This plant can easily grow to be up to nine feet tall and equally as wide. It grows best in full to partial sun, and it will need to be watered once a week at least. It prefers slightly acidic soil, but it can tolerate any type of soil. In zones four through six, it can grow to be up to 10 feet tall.